Many of us have been through toxic relationships at least once. Someone turns such a mistake into a life experience, becoming stronger and wiser. As a result, such people can build a more conscious and successful relationship. Others make the same mistakes again and again, never paying attention to their partners’ toxic behaviors. Let's try to figure out how to determine toxic behavior in relationships, how to get rid of them, and what to do so as not to repeat your mistakes. 1) What is a toxic relationship? It’s the one where you feel that you’re falling apart, losing yourself, that you’re being manipulated. Too much effort is spent on saving the relationships, and you no longer have the strength to live a normal life. You completely depend on your partner. 2) You’re too busy solving the problems of your partner instead of yours (live someone else’s life). 3) You can’t relax and just be yourself; it seems to you that no one will accept you as you are. You have to do what you don’t like to keep your partner. 4) You’re not respected; your desires, needs, views are not appreciated. You have no personal space. 5) Your loved one shows some signs of a toxic partner, constantly criticizing you, exposing you to emotional violence. The first step to your freedom is to understand what is wrong. 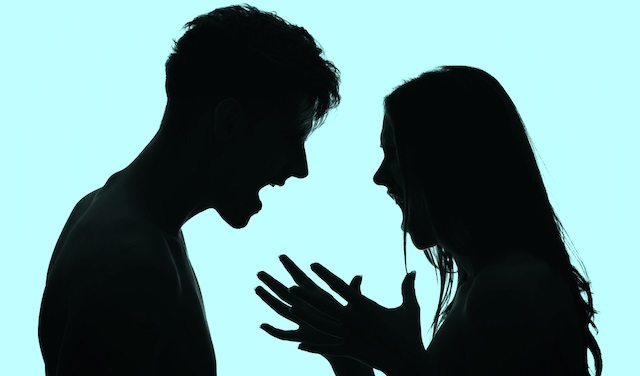 Are you not satisfied with exhausting quarrels? Are you tired of the feeling of disappointment and emptiness that remains after the date? So admit it to yourself. Did your loved one force you to leave work or give up hobbies? Or maybe you already quarreled with all your friends and even relatives, because they tried to explain that you don’t need such a relationship? And what price do you have to pay next? Maybe love is not worth any sacrifice? Those who don’t know what they need are easier to manipulate. Therefore, decide what you need from the relationship: reliability, security, or financial assistance. Of course, it’s not easy; after all, your self-esteem has been forming for 20, 30, or 40 years, and now it’s unlikely to change in one day. But you still need to improve it, because people with low self-esteem tend to fall into the trap of distorted ideas about relationships, they become dependent on love. Because if you don’t, you won’t get rid of these relationships. Perhaps it will be a revelation for you, but love is an easy, free, and joyful feeling, not a burden. Remember this. Stay close to people who can support you, when you decide to leave, and help you get through the difficult times. If you don’t just meet each other from time to time, but live together, find a place to move after a breakup. If you have time and the opportunity to prepare in advance, great. Even a small amount of money that you save will help you feel more confident at first. So start saving some if you haven’t already done so. Nobody said it will be easy. The deeper you get bogged down in relationships, the harder it is to get out of them. It will be hard, but with time everything will work out. Tell your toxic partner about your decision. When the decision is made, leave and don’t look back. Even after letting go of toxic relationships with minimal losses, don’t relax: you need to think about your mistakes that have led you to this trap at least to ensure that your new relationship will not go according to the previous scenario. Most often, there is only one reason why girls like bad guys and guys fall in love with bad girls: the lack of bright colors in life. Yes, the problem is common. And the relationship is not a cure for it, and both of you are not a single whole, but two independent personalities (by the way, here’s a small test: if the last phrase caused a feeling of disagreement and protest, don’t be surprised that you fall in love with wrong people and breakups feel so painful). You can diversify your life on your own, make it more interesting: find yourself an interesting hobby, go to the gym, do things that you didn’t dare to do before, get acquainted with new people. And one day, the harmonious relationship will come to your life.